The difference between the Old Testament and the New Testament mindset when giving a word of knowledge. The way Jesus interacted with this woman shows the difference between how God's prophets treated people in the Old Testament and how we should treat people under the New Covenant. In the OT people lived under the law of Moses. This gave strict instructions about what they could and should not do. This “Thou shalt not” structure led to a fearful avoidance behaviour in situations of risk. The Old testament mindset here meant "If I touch her or her drinking vessel I will become unclean." The revolutionary love-based approach that Jesus modelled was "If I touch her /she touches me, she can become clean." The woman with a haemorrhage who came up, touched Jesus and was healed is an example of this in Luke 8:43.48. Is there a fearful Old Testament mindset preventing you from reaching out to hurting people around you who are in need of God’s healing touch in their lives? So having engaged her with a question by asking for a drink, Jesus now throws her some bait. 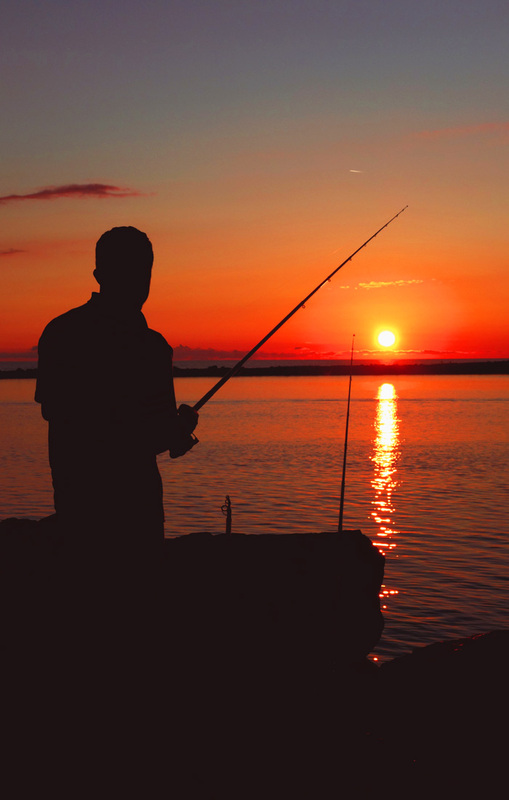 We are called to be fishers of men – a good fisherman will throw out bait to attract the fish. We can do the same in conversations. This will enable us to perceive who will be open to going further spiritually. She is intrigued and he starts to reel in the line because she has taken the bait! Try to think of a way that you can put a spiritual application into a normal conversation. Here Jesus slowly and skilfully reels the line in even further, being careful not to break it with a quick tug. He does not openly offer her the water of which he speaks in general terms. She is then able to take his thought and begin to personalise it . In saying this we can see that she does not fully understand the spiritual meaning behind Jesus' words but he almost has her in the net. Jesus illustrates how to successfully deal with and bring a word of knowledge with grace and love. Here Jesus is given a word of knowledge: The woman who is coming towards you at the well has been married 5 times and is now living unmarried with man no 6. In modern society this is no longer such a problem; then it would have been a major scandal and made the woman an outcast who others would not associate with - hence her coming alone to the well in the heat of midday instead of the cool of the morning or evening. An Old Testament prophet would have confronted her with something along the lines of “You are a sinner! You have been married 5 times and now you are living in adultery! Repent!" How would that have left her? Angry? Alienated? Rejected? A quivering wreck with her dignity torn to shreds? A question I often ask when teaching on this topic is "How many of you were converted by fire and brimstone preaching and the threat of Hell?" Sometimes one or two put their hand up. I then ask how many were shown kindness and loved into the kingdom. The majority of people put up their hands. Rom 2:3 "But do you suppose this O man, when you pass judgement on those who practice such things and do the same yourself, that you will escape the judgement of God? Or do you think lightly of the riches of His kindness and tolerance and patience, not knowing that the kindness of God leads you to repentance?" Even in the natural there were 'clues' which Jesus would have noticed and interpreted. Here was a woman, probably in her thirties, coming alone to a well in the countryside at midday. Normal practice would have been for a group of women to go together for protection in the cool of the evening. The sharp way she speaks to him and her attempt to change the subject must have given Jesus clues in the natural to back up the word of knowledge about the succession of men in her life. What he then does is use this word of knowledge in a skilful way to re check if she was still open to change. She does not deny that she is not married with her answer, but she evades answering fully about her current situation probably due to shame and the way people have reacted before. Jesus does not condemn her when he replied to her and gave the word of knowledge he had been given. He replies to her with grace and truth, unafraid to let the truth set her free.